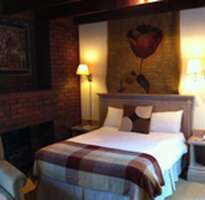 The Old Hall Hotel is a charming 16th Century hotel offering traditional English warmth and comfort. 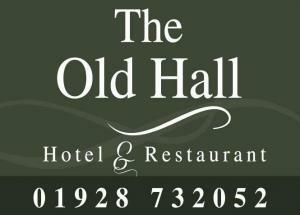 With original beams, log fires and relaxing sofas the Old Hall Hotel offers you all the qualities of a privately owned country hotel within an urban environment.Our elegant restaurant is renowned for its traditional food and fine dining. Our lounges and bar offer light meals and the opportunity to unwind and enjoy tea, coffee or an aperitif in a quiet corner.Situated on the Main Street in the bustling historic town of Frodsham, mentioned in the Doomsday Book. The hotel is ideally placed for the business traveller visiting the commercial centres of Runcorn, Widnes Warrington and Liverpool. 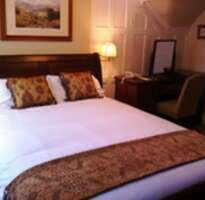 For the independent traveler the hotel is centrally located for touring the countryside of North Cheshire and the cities of Chester, Liverpool and Manchester all less than 30 minutes away. For lovers of walking, the Old Hall is placed at the start of the Sandstone Trail and 2 miles from Delamere Forest. Other attractions include Cheshire Oaks Outlet Shopping Village, Chester Zoo, The Blue Planet Aquarium and numerous local Golf courses.Whether it is business or pleasure that brings you to our door we look forward to welcoming you.